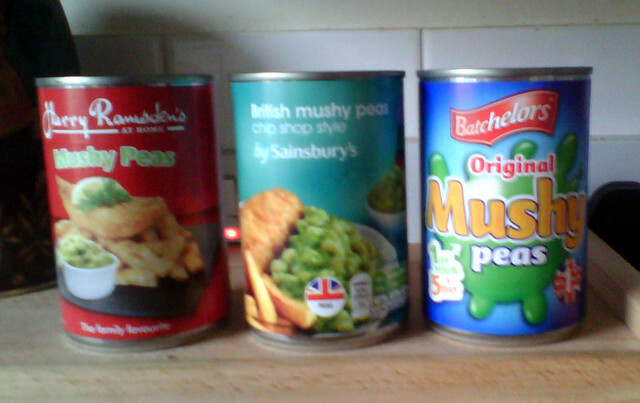 Lunchtime showdown: three different tins of mushy peas! All served up with a bit of black pudding. Sainsbury's mushy peas are not very nice - there's a kind of minty flavour (mint is not in the ingredients) which tastes like it's masking something. Harry Ramsden's are nice - chip-shop flavour, with a decent hint of savoury flavour. 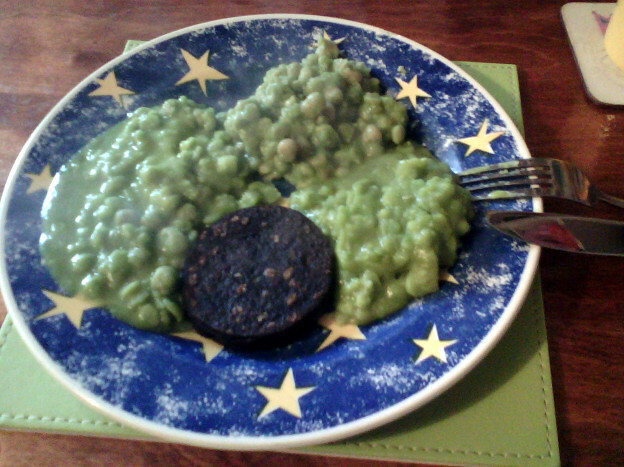 Batchelors mushy peas are pretty similar to Harry Ramsden's, but with not so much of the savoury depth. They're fine, but just short of the chip-shop flavour I'm looking for.